iVascular is pleased to announce the product range extension of its self-expandable stent iVolution, to 200 mm length, in various diameters. 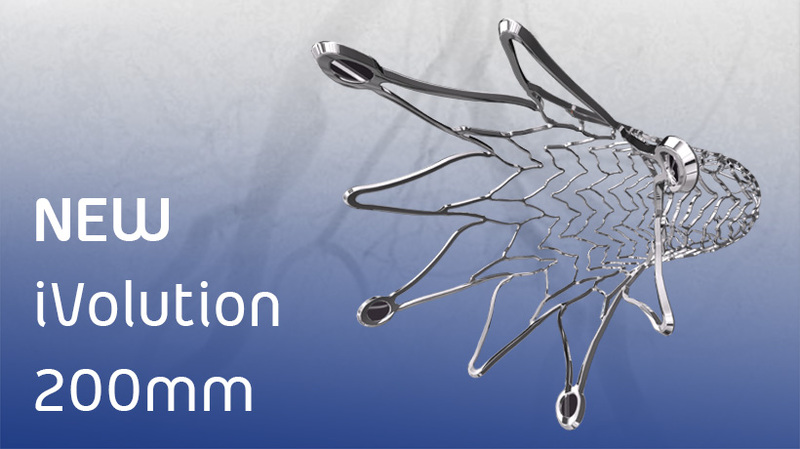 iVolution is a last generation nitinol endovascular stent, combining high flexibility and conformability, together with increased radial strength. Its mechanical properties have been independently evaluated by the Paris Institute of Technology. As stated by Lluis Duocastella, iVascular CEO, ” the addition of the 200mm iVolution to the iVascular portfolio, is a major step to improve patients therapy in the most complex indications such as TASC C and D femoro-popliteal lesions. We are excited to provide such new references to physicians, without any compromise on the French size compatibility, stent features nor ease of use”.